Sometimes, we need a light-hearted way to start to the week, and this blog is the place to find it. Each Monday we will have a view of the lighter side of phylogenetics. This week we have some inspirational ideas for modern phylogeneticists, who have confidence in the robustness of their tree. However, this sort of project should not be undertaken too early in one's thesis work, in case of a last-minute addition to the dataset. You also need to pick the right colours for your tattoo, because some of them are rather hard to remove, should you change your mind. 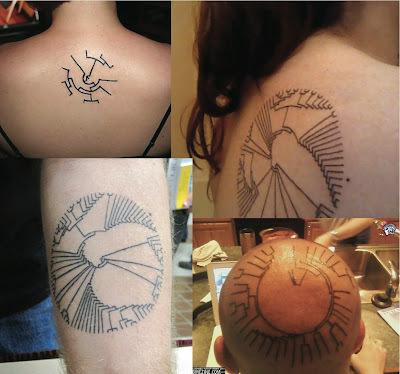 You can also check out all of the other phylogeny tattoos collected on our Tattoos page.